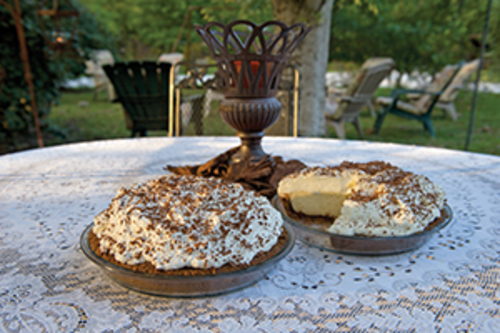 The GainesRidge Dinner Club, located in a home built in the 1820s, began serving food in 1985. The home features both indoor and outdoor dining rooms, where guests may be joined by one of the property's several friendly ghosts. The menu is simple, with a selection of seafood, sandwiches, and desserts, including the restaurant's popular black bottom pie. The GainesRidge Dinner Club doesn’t try to compete with the likes of award-winning chefs. The restaurant, located in a nearly 100-year-old home, is committed to doing what it’s done for years — giving customers delicious food and home-style service. There’s always a black bottom pie waiting to be sliced and served at this restaurant, which opened in 1985 and has served the pie since the beginning. It is amazingly light, fluffy and smooth. 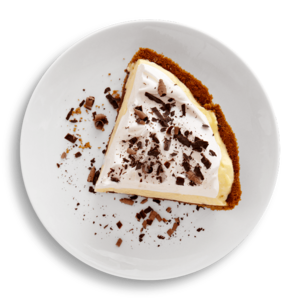 In one bite, you’ll crunch into the gingersnap cookie crust layered underneath intensely flavored dark-chocolate custard, a bourbon infused chiffon, and a topping of freshly whipped cream and grated unsweetened chocolate. GainesRidge says it didn’t invent black bottom pie, but nobody else in the state makes a better one. It’s worth the trip, not just for the pie but for the atmosphere of the place, furnished with antiques and maybe even a friendly ghost.